Anne Scheiber, a retired IRS agent, amassed $22 million in wealth (though since Scheiber died in 1995, that's always going to be more when adjusted for inflation) that was only uncovered following her death. Secret millionaires like Scheiber often practice value investing, dividend investing, and passive investing. Depending upon what the circumstances and temperament may be, she and investors like her tend to focus on long-term ownership with low turnover, reasonable costs, and tax efficiency, eschewing things like market timing and focusing on fundamentals instead. Anne Scheiber's story is inspiring and worth emulating if you want financial independence. Her example strengthens the argument that with a long compounding period, prudent decisions, and willingness to put in work, capital tends to flourish. For anyone with several decades of life expectancy still in front of them (and even those who don't, but who want to begin the compounding process for their children, grandchildren, or other heirs), Scheiber's story is worth examining. In the mid-1940s, Scheiber retired from the IRS. She was sitting on a $5,000 lump sum of capital she had saved. She also had a pension of roughly $3,150. Anne had been burned by stockbrokers during the 1930s, so she resolved to never rely on anyone else for her financial future. Instead, given the fact she had nothing but time and didn't have to worry about getting a job, she decided to put the analysis skills she had learned at the IRS to work. She began looking for companies she wanted to own; companies she thought could continue to make money and pay her dividends as they prospered. Going through annual reports, she would analyze income statements and read balance sheets. Using her capital and cash flow, she began acquiring positions, growing her ownership year after year, and watching her passive income expand. During the 50-plus year period that followed her decision to begin managing money until her death, Scheiber operated from her tiny apartment in New York City. Toward the end of her life, she quietly arranged for her fortune, which had blossomed despite booms and busts, war and peace, and great societal changes, to be donated to Yeshiva University, the funds devoted to a scholarship designed to help support deserving women. The donation came as a shock—nobody knew she had the kind of money she did, nor that she intended to give it away. She Did Her Own Investing Research and Bought Things She Understood: Anne had the knowledge, experience, time, and desire to analyze the underlying economics of stocks, bonds, and other assets. This gave her peace of mind when markets collapsed—and many times over her investing career stocks declined by 33 percent to 50 percent—because she knew what she owned and why she owned it; she understood how the earnings and cash flow were generated, and that relative to the price she paid, she was still likely to experience a satisfactory outcome if she held on no matter how bad it looked at the time. She Bought Quality Shares of Excellent Companies Even If They Appeared Boring: Investors get caught up in fads every bit as real as those that sweep the culture of Parisian haute couture. Whether it is specific types of companies, such as electric utilities several generations ago, or different types of strategies, such as portfolio insurance in the 1980s or index funds today, Scheiber was not one to get drawn in by the latest trend. She instead focused on what she knew could make her richer: Every year, she wanted to have a bigger ownership stake in her diversified portfolio of incredible companies that sent more and more money to her as the top line and bottom line increased. This meant sticking a large portion of her funds in blue-chip stocks, which proved successful. Her willingness to think independently from the crowd was one of her achievements. These amazing businesses are now often maligned as "grandma" or "widow" companies despite that over long periods they tend to outperform the S&P 500 due to their competitive advantages and high returns on capital. In years where things like airline stocks boom, dragging up the broader index returns in what will inevitably be another round of bankruptcy years later, they get left behind. But ignore the one-year, three-year, and even five-year returns and start looking at 10 years, 15 years, 25 years or more and their constant flow of money shows up in the intrinsic value while providing greater protection during recessions and depressions. Scheiber collected quality and stayed the course. She Reinvested Dividends, Allowing Her Money to Compound More Quickly: As her dividends grew, Scheiber put them back into buying more shares so they, in turn, could generate more dividends of their own. Dividends upon dividends upon dividends, her willingness to shovel money back into her portfolio, constantly adding to her diversified collection of ownership stakes allowed her to not only reduce risk by spreading her money out among more firms they also accelerated her compound annual growth rate. One of the biggest flaws with both professional and amateur investors is that they focus on changes in market capitalization or share price only. With most mature, stable companies, a substantial part of the profits is returned to shareholders in the form of cash dividends. That means you cannot measure the ultimate wealth created for investors solely by looking at stock price increases—you have to focus more on total return. Famed finance professor Jeremy Siegel called reinvested dividends the “bear market protector” and “return accelerator,” as they allow you to buy more shares of the company when markets crash. Over time, this drastically increases the equity you own in the company and the dividends you receive as those shares pay dividends; it’s a virtuous cycle. In most cases, the fees or costs for reinvesting dividends are either free or a nominal few dollars. This means that more of your return goes to compounding and less to frictional expenses. You don't have to reinvest your dividends, of course. In fact, in many situations, you get more utility by living off your dividends and letting your portfolio compound a bit more slowly. After all, what is the point of having more money toward the end of life if you don't spend more of your time doing what you want to do? She Was Not Afraid of Asset Allocation and She Used Hers to Her Advantage: Anne Scheiber died with about 60 percent of her money invested in stocks, 30 percent in bonds, and 10 percent in cash. (Many investors never keep enough cash in their portfolio.) The basic concept of asset allocation is that it is wise for non-professional investors to keep their money divided between different types of securities such as stocks, bonds, mutual funds, international, cash, and real estate. The premise is that changes in one market won’t ripple through your entire net worth. 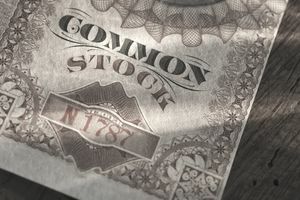 Legendary investor and thinker Benjamin Graham advised investors he classified as "defensive"—anyone who wasn't a professional—to keep no less than 25 percent of portfolio assets in stocks or bonds at any given time. Figure out your desired asset allocation and stick to it. Write it into your investment policy manual. Don't be tempted to reach beyond what your risk parameters dictate. Even someone like billionaire Warren Buffett draws a hard line when it comes to certain allocation practices. For example, he won't allow his holding company, Berkshire Hathaway, to drop below $20 billion in on-hand cash reserves. She Added to Her Investments Regularly: Unless you are living on the brink of poverty, there is almost no reason to spend your whole paycheck. Whether you're collecting pension benefits, receiving Social Security, or working a part-time job as a way to keep busy, always try to run a surplus so you can add a bit more to your holdings, even if you intend to give it away to someone else. There is something important about instilling what author Napoleon Hill called "the savings habit." By making yourself live within your means, and paying attention to the state of your finances, you can remove worries while building your collection of wonderful assets more quickly. She Let Her Investment Capital Compound for More Than Half a Century: It has been said that time is the friend of the wonderful business. The longer you hold good assets, the more compound interest can work its magic. The time value of money kicks into effect and the results can become truly jaw-dropping. Even better, the further out you go in time, the crazier the results get. Consider that a single $100 bill compounded for 30 years at 10 percent per annum would grow to $1,745. In 40 years, it would have blossomed into $4,526. Add another decade on the end, taking it to 50 years, and suddenly, that $100 bill grows to $11,739. Make it 60 years and you get $30,448. Put another way, an investor who held for 60 years would have experienced more than 61 percent of his or her wealth accumulation in the final 10 year period, which represented only 16.7 percent of the holding time. To some degree, there is an element of luck involved here, but a few time-tested actions you can take for your net worth is: one, start compounding early. Two, use tax shelters to your advantage, and three, live a long, long time. The difference between someone dying at 65 and 95 is enormous. It's an extra 30 years on top of a productive lifetime, which causes the portfolio figures to get into some double-take territory. Taking care of your health and wellness, besides the benefits of happiness, are among the most important tasks if you want to become a great investor. A great thing about Anne Scheiber's story is that it isn't all that unique, at least not in the United States. It does not take a genius-level IQ, a wealthy family, or extraordinarily good luck to build serious, multi-generational levels of wealth that can change your life. Instead, it's about getting your hands on productive assets— ownership stakes in firms that churn out more and more money for you—and letting them do their thing. It's about structuring your financial affairs wisely so a single disaster or stock market crash can't harm you no matter how bad it looks on paper. It's about identifying risks and minimizing them as much as is possible.